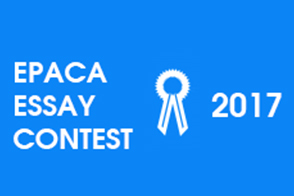 The European Public Affairs Consultancies’ Association proudly invites young Public Affairs professionals to participate in the sixth John Houston EPACA Essay Contest. All young professionals under the age of 30 (born on or after 1 January 1987) working for consultancies who are members of EPACA are invited to join the competition. Contributions should be sent to the EPACA Secretariat by e-mail (info@epaca.org) by 14 February 2017. The jury is composed of the members of the EPACA Professional Practice Panel: Lisette Tiddens, Tom Spencer and David Coen. The winner will be announced at the EPACA Annual General Meeting on 16 March 2017, where the prize will be handed over by the EPACA Professional Practice Panel.